Listen to Entire Album Online for FREE! Studies show that, conservatively, over 50% of doctor visits and illness is directly related to stress. We are living in a moment in time that humanity has dreamed about for millenniums. However, with all the modern conveniences and technical miracles there comes a price. To enjoy our lives fully, and truly be without the debilitating affects of stress, we need the tools and habits to help put it all in perspective. Your ability to deal effectively with stress will enhance all aspects of life. Be more relaxed, productive and focused to enjoy more of your life. 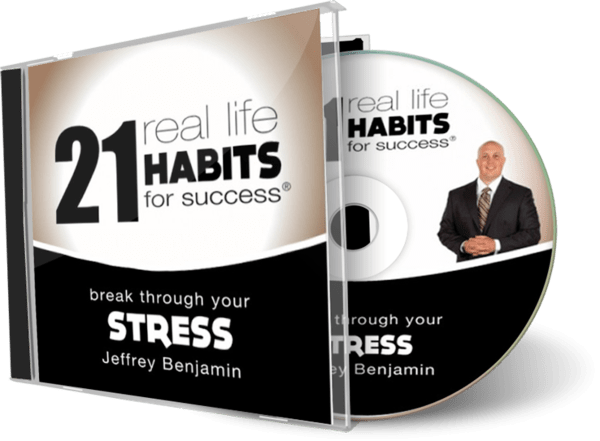 Jeffrey shares 21 habits to break through your stress. Get started today!